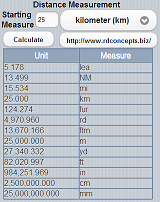 A conversion tool between distance & length measures. The tool will convert between league, nautical mile, mile, kilometer, furlong, rod, fathom, meter, yard, foot, inch, centimeter, and millimeter. 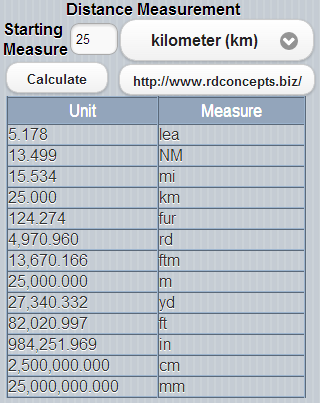 By starting off with a measure, it will calculate what the measure is in the other units. 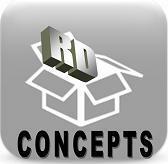 Being needed in various environments, RD Concepts developed the distance measurement conversion tool to run on an iPhone and Android. To utilize this application from your mobile device, please select mobile application.